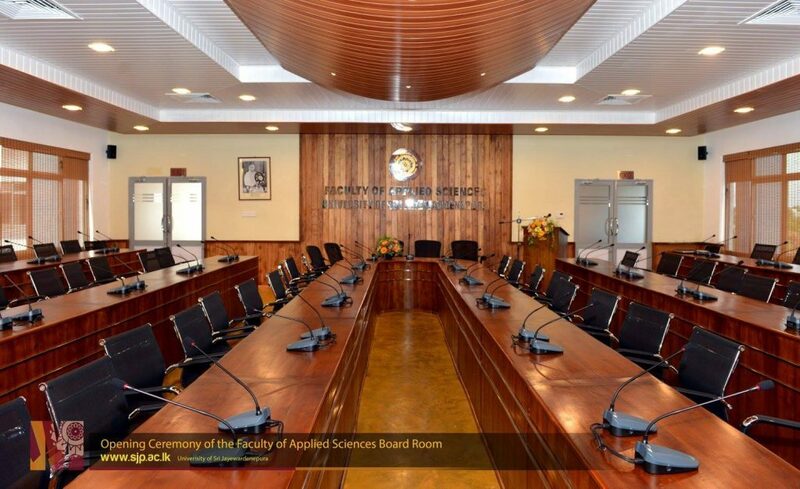 The 350th Board Meeting of the Faculty of Applied Sciences is to be held at the Board room of the New Faculty Complex on 10th November from 1.30 pm onwards. This not only marks a mile stone of the faculty’s progress since its inception, but is also very special since it is the first time that this newly opened board room which houses over 250 individuals while being equipped with all modern facilities, will be used for a faculty Board meeting. In order to commemorate this landmark meeting of the faculty, an alms giving has been organized serving fifteen Maha Sangha currently serving at the university. This ceremony is scheduled to take place from 11.30 am onwards.